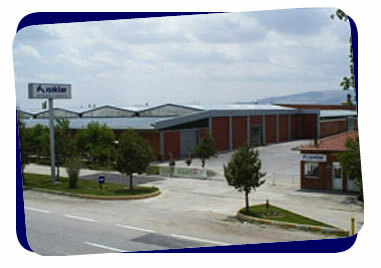 Işıklar Ambalaj has a production capacity of 300 million sacks per year in her Cumra factory. Added value sacks for about 1000 domestic and export customers are produced. Isiklar Ambalaj is the first international company to invest in a greenfield cement sack factory in Arbil, Northern Iraq through her subsidiary Isiklar Paper Sack Ltd.
Isiklar Paper Sack Ltd. Arbil factory will start production in February 2013 with an initial installed capacity of 80 million sacks per year with plans to triple that capacity over the next 3 years to serve the entire Iraqi Cement industry. Supporting all of these;thumb notch, pre perforation , PE Tube sealing ,sewing machines roll package, paper sack air realese capacity tester, double-sided valve hole, multi-row valve hole, very wide measuring range supporting perforation knives, cylinders, gears etc. equipments are indicators of our perfection.